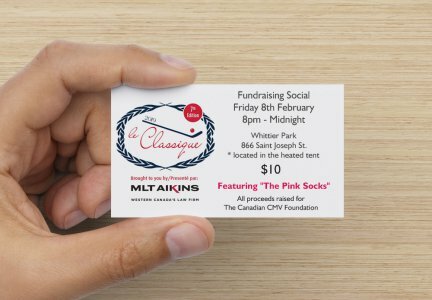 The Le Classique Social will be held on Friday, Feb 8 in the heated Tent on the grounds of Whittier Park with drink specials all night! 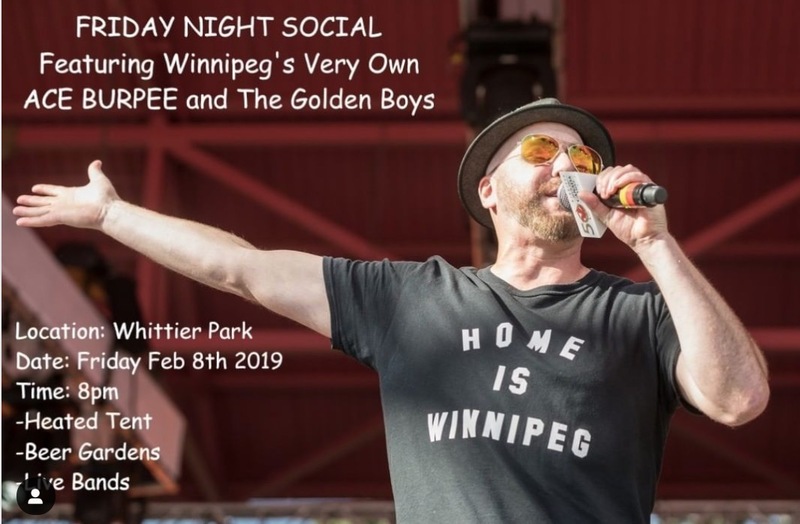 Winnipeg’s very own Ace Burpee and his band The Golden Boys are the opening act of the show! Cost is $10, and FREE for tournament players. You can purchase your tickets online, below. 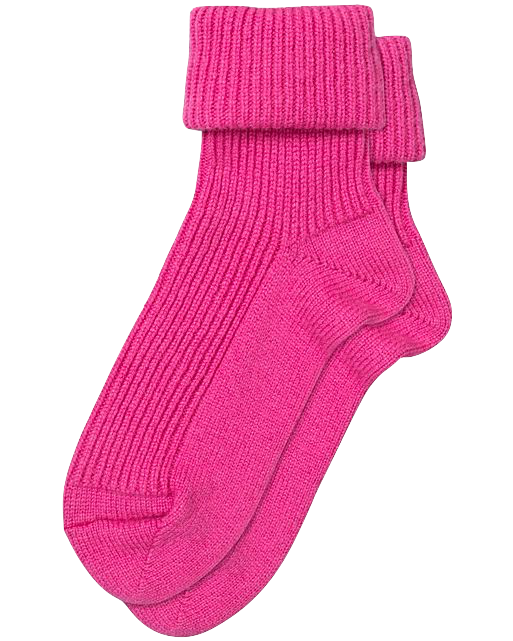 The Pink Socks are a Winnipeg based party band specializing in yacht rock and AM radio classics. They’ll turn the dial to FM radio if you ask nicely!